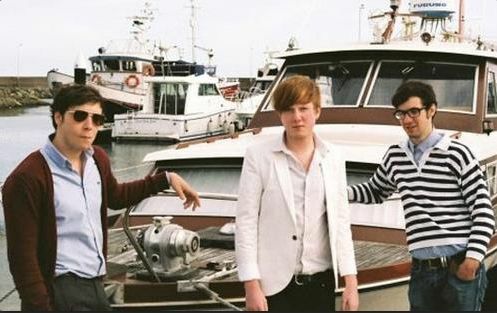 Two Door Cinema Club are an electropop/alternative band from Bangor and Donaghadee, Northern Ireland, United Kingdom formed in 2007. 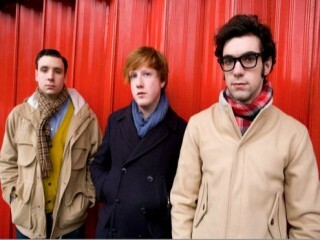 The band consists of Alex Trimble (vocals, guitar), Kevin Baird (bass, vocals) and Sam Halliday (guitar, vocals). The band does not have a permanent drummer, but they have been touring with drummer Benjamin Thompson. 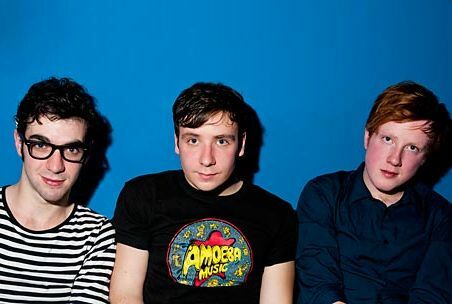 The trio began playing as Two Door Cinema Club in 2007 and skipped going to university to focus on the band. Fortunately, the gamble paid off — the band's debut EP, Four Words to Stand On, was released in January 2009 by the hip French label Kitsuné to positive reviews and music blog buzz, which grew with the release of April's single "Something Good Can Work." 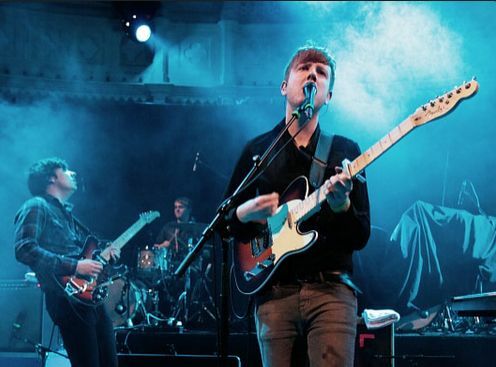 That summer, Two Door Cinema Club recorded their debut album in London's Eastcote Studios with Eliot James, which they mixed with producer Phillipe Zdar in Paris that fall. The group's remixes of Phoenix's "Lasso" and Chew Lips' "Salt Air" also appeared that year, and by 2009's end, the group was among the acts featured in the BBC Sound of 2010 Poll. Another single, "Undercover Martyn," arrived in January 2010, shortly before the band's first full-length Tourist History was released. Their debut album “Tourist History”, released in March 2010 was preceded by the singles “I Can Talk” and “Undercover Martyn”, and “Something Good Can Work” was released in May 2010. The band then released “Come Back Home” in July 2010, a rerelease of “I Can Talk” in October 2010, and “What You Know” in February 2011.